I've been trying to get my kids into the Christmas mood lately, so we were excited when Barney Holiday Favorites 3-DVD Gift Set showed up at our door! They just love Barney; they love the fun songs and dances & I love the educations and moral lessons they pick up just from watching. They loved this 3-DVD gift set. They were extra excited when we realized the third disc even contains episodes of Thomas and Friends, Kipper, Bob the Builder and Pingu! Barney Holiday Favorites 3-DVD Gift Set would make a great gift for all the preschoolers on your Christmas shopping list! Have a holly jolly holiday this year with everyone’s favorite purple T-rex as he and his friends ring in the joy of the season in Barney™: Holiday Favorites 3-DVD Gift Set, unwrapping in stores October 18, 2011 from Lionsgate and HIT Entertainment. Spend the night before Christmas at Santa’s Workshop, search for the perfect gold star to top the Christmas tree and welcome fellow preschool favorites Bob the Builder™, Kipper™, Thomas & Friends™ and Pingu™ for additional frosty, festive fun. Trusted by moms and adored by children, Barney displays sharing, caring, imagining, dancing and learning on television and through digital media, live events, home entertainment, toys, and publishing. The Emmy® award-winning series, Barney & Friends™ is one of the top-rated preschool shows today, airing on PBS KIDS® and Sprout®. Barney and his friends spend the most wonderful time of the year on a magical journey to the North Pole as very special guests of Santa’s workshop. With music in the air, and laughter everywhere, it’s a dream come true as Santa unveils a holiday treat - his secret toys for Christmas! 'Tis the season to be jolly with Barney and his friends! The festive fun begins with a joyful journey to find a shiny gold star for the Christmas tree and includes loads of magical, musical merriment along the way. From little drummer boys to “The Night Before Christmas,” it is a holiday adventure that features ten festive songs that the whole family will enjoy! Bundle up with your favorite preschool pals in these playful, wintertime tales. Learn the true meaning of Christmas with Barney, build a snowman with Bob, go sledding with Kipper, whistle down the snowy tracks with Thomas and laugh along as Pingu plays hilarious tricks on his winter wonderland friends. You can purchase Barney Holiday Favorites 3-DVD Gift Set on Amazon for only $15.99! My kiddos love Barney & I love Christmas movies, so we were excited when we received Barney: A Very Merry Christmas to review! In this movie Barney and Baby Bop travel to the North Pole to see the wonders of Santa's Workshop and along the way Barney teaches Baby Bop that Christmas is about giving and not receiving. I'm excited for my kids to watch this movie many times between now and Christmas! A very merry celebration is about to begin! Join your favorite purple dinosaur as he travels to the North Pole to discover the wonders of Santa’s workshop, decorates the Christmas caboose and teaches Baby Bop that the magic of Christmas is about giving, not receiving. Barney makes all of your Christmas wishes come true with dino-sized friendship and fun in this festive holiday movie! You can purchase Barney: A Very Merry Christmas - The Movie on Amazon! 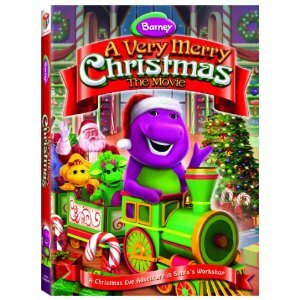 Thanks to HIT Entertainment/Lionsgate, one lucky Giveaways for Mom reader will win a DVD copy of Barney: A Very Merry Christmas - The Movie! My kids had never seen an episode of Barney before we received Barney: Big World Adventure but now they're hooked on the big purple guy! They love all the catchy songs, and I love the great lessons Barney teaches, like being kind to one another and ABCs and 123s. In Barney: Big World Adventure Barney goes on a hot air balloon adventure around the world, visiting lots of different cultures and seeing lots of exotic animals. My kiddos just loved this movie! Climb aboard a big balloon with Barney, Ben and Emma as they embark on a super-dee-duper world adventure! The friends visit everywhere they can imagine in this all-new movie! Together they encounter princesses and kings, musicians and magicians, puppeteers and artists across Europe, Asia, Africa and the Americas. As the trio experiences new cultures and languages from around the world, Barney demonstrates the importance of the most universal language of all: friendship. 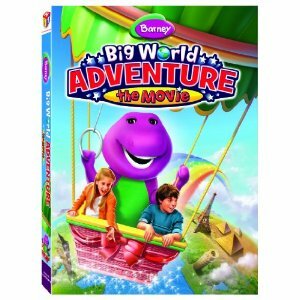 Barney: Big World Adventure can be purchased here. The winner will be chosen on September 30, 2011. Good luck! My little guys just love Barney. They love all the songs and love watching what they characters are doing in each episode. I've been working with them on basic preschool skills since they just turned two & three, so I was super excited when I learned Barney had a new DVD, Barney 123 Learn! Barney 123 Learn is a great DVD for introducing numbers and the alphabet! My boys have definitely learned new skills from Barney 123 Learn! Come along with Barney and his friends for a Tee-riffic adventure filled with shapes, numbers and letters! Join Baby Bop as she discovers that counting can lead to hidden treasures and that there’s a carnival of shapes and colors for all to enjoy. And BJ uses the alphabet to help Riff get ready for his music concert in the park. Barney can’t wait to show you that shapes, numbers and letters are the ticket to fun and friendship! You can purchase Barney 123 Learn here for only $14.98! 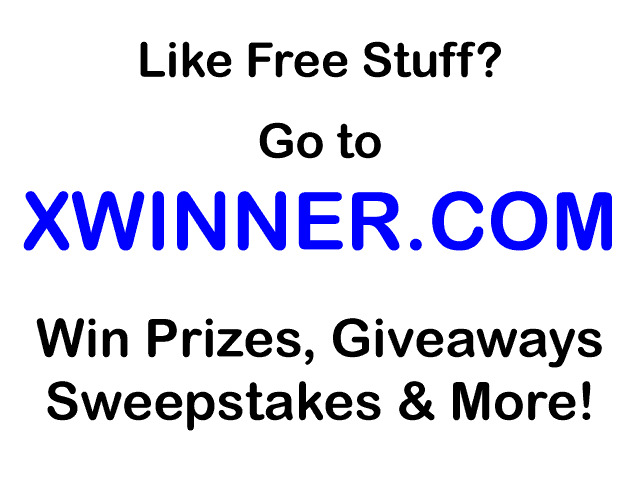 You MUST be a follower of Giveaways for Mom via Google Friend Connect (located at the right) for your entry to count. And you MUST include your email address with each entry. Follow Giveaways for Mom via Google Friend Connect. AND Leave me a comment telling me who you are trying to win this for. The winner will be chosen on September 12, 2011. Good luck!